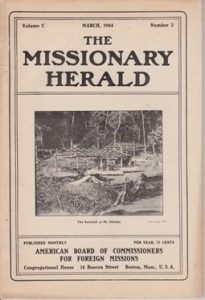 Recent graduates of Williams College created the “American Board Mission” (ABM or “American Board) in 1810 with the goal of spreading Christianity worldwide – or in the language of its time – “to evangelize the heathen in foreign lands.” It was the first organized mission society in the United States and one of the most important. Rooted in the Congregational Church, it also accepted missionaries from other Protestant denominations. In 1893, a pioneer party of eight American missionaries made the trek from South Africa to Mount Silinda (Selinda), establishing ABM’s first mission in Zimbabwe. A sister mission station was opened at Chikore 18 miles northwest of Mt. Selinda in 1895. The Mt. Selinda and Chikore mission stations were initially collectively referred to as the “East Central Africa Mission”; later the East Africa branch of the Zulu mission in South Africa. 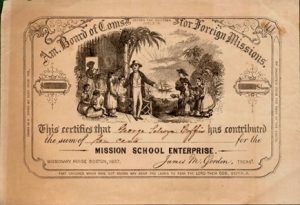 In 1904, the missions officially became known as the Rhodesia branch of the Mission in South Africa (or “Rhodesia Mission”), although the two missions continued to be informally referred to as the East Africa Mission for many years thereafter. The Mt. Selinda and Chikore Missions are currently owned and operated by the United Church of Christ in Zimbabwe (UCCZ). UCCZ became independent from the American based UCC in 1977.